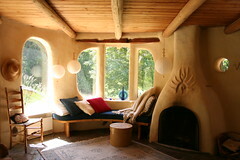 I love the idea of building a cob house. Ever since I’ve learned about it, I’ve had a desire to build one myself. It’s a very versatile building material, has excellent thermal mass properties, and is the epitome of frugality when it comes to building a home. I don’t know if I’ll ever get to build my own cob house, but I can watch the process on a blog called The Year of Mud: Building a Cob House. 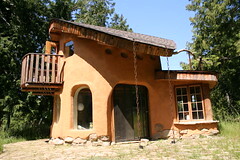 Brian is documenting his own experience building a cob house with pictures and posts describing the process. I really like reading up on what he’s doing, and I thought I would share the blog with you.